Thank you for your generous gift! Your donation helps us fulfill our mission to provide safe and supportive shelter to woman, children, and families. ​For tax purposes, our Federal Tax ID number is: 02-0519859. We appreciate your generosity. 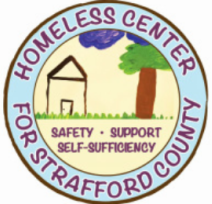 Together, we are making a difference for the homeless in Strafford County.